This is the summary of consumer reviews for Melissa & Doug Band in a Box. The BoolPool rating for this product is Very Good, with 4.10 stars, and the price range is $19.35-$23.25. Melissa & Dough Band in a Box is everything that a child needs to enjoy and explore music and sounds. 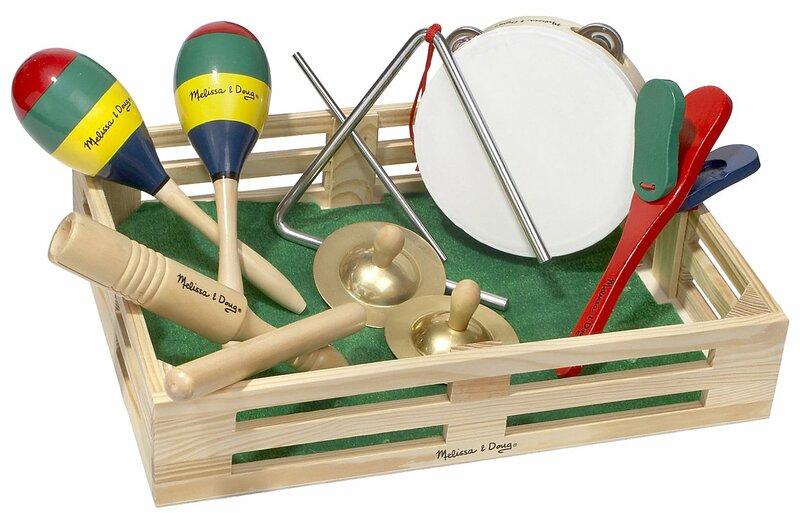 This 10 pieces set includes musical instruments - 2 cymbals, 2 maracas, clacker, tambourine, tone blocks, triangle with striker and a wooden storage crate. The instruments made very low sound which in a way is an advantage as it does not disturb or annoy others members. Though the triangle sound was good and loud, it sounded very unpleasant. 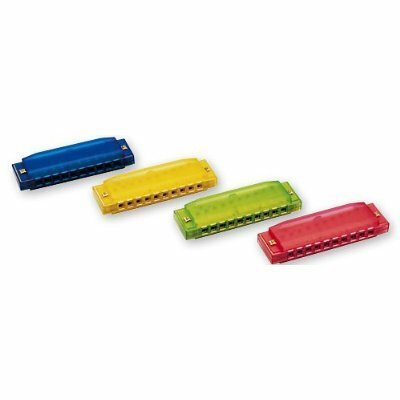 These instruments are favorite among children, they have fun along with the music playing in the background or they love to make parades while banging these instruments and creating their own music. 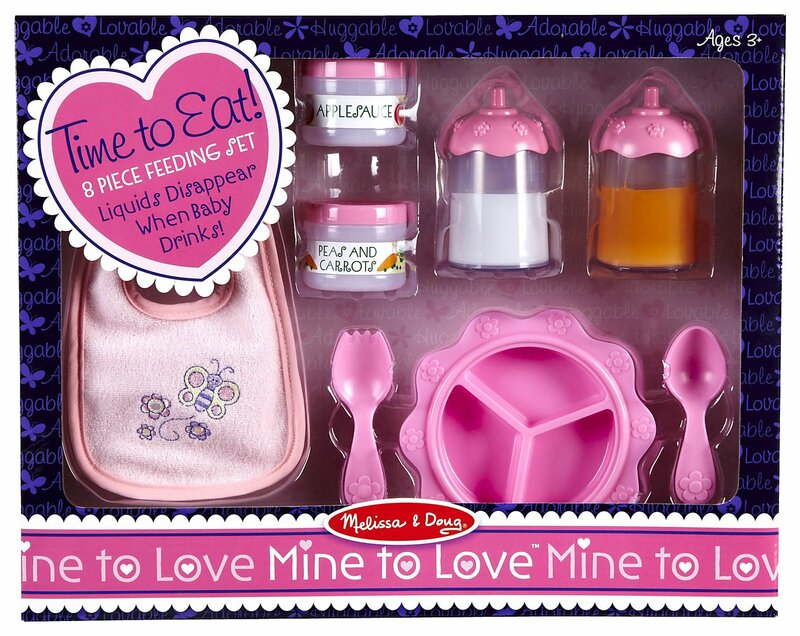 This set is well made and durable except the tambourine which breaks off easily. They are perfectly sized to fit into the hands of toddlers or grown up kids. Some reviewers were disappointed with the low sound quality. They felt that the set did not meet its purpose of a percussion instrument. The tambourine quality was very low as it broke off very easily in most cases. The triangle and its striker are metal made and needed constant supervision for toddlers as they were prone to hurt themselves. Overall, the Melissa & Dough Band in a Box instruments are durable and comes in a reasonable price. 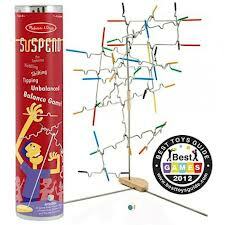 Though not highly recommended it has been guaranteed to bring hours of musical joy among children. The sound quality is a little disappointing - the cymbals have a muted quality and the maracas are pretty quiet too. The tambourine was useless immediately and the other products made hardly any sound. The maracas are pretty lame (sounds like 3 pieces of rice are inside), the cymbals don't make a very good sound and the quality is sub-par. Very poor quality, disappointing for Melissa and Doug. The quality of the products vary. The maracas and cymbals are barely audible. While the wooden nature of the products are appealing -- I'm now avoiding Melissa and Doug products altogether as the are obviously very poor quality. The maracas seem durable, but make nearly no sound at all. 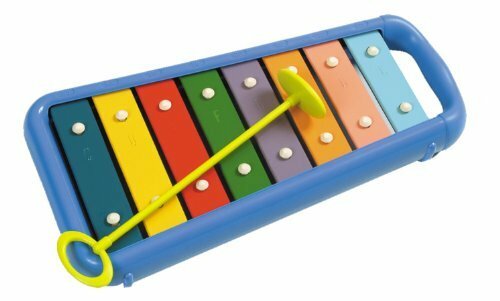 My 18 month old little girl LOVES these instruments! 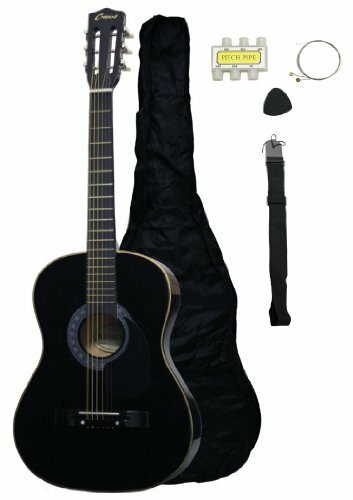 The instruments are durable and well-made. She's learning the fundamentals of rhythm by playing the instruments along with her favorite music. That's why I was surprised when after only a week of owning the music instruments there are several instruments that are already broken and can no longer be used to make music. He plays with it almost every day and loves to make music. All the instruments are well-made and durable except for the tamborine. She loves banging the instruments together to make as much noise as possible. My children love to have parades with these instruments and there are enough for friends, mom & dad to join in the fun too. They've a great time marching around the house playing music for me. Even my 10 year old son has picked up an instrument now and again. 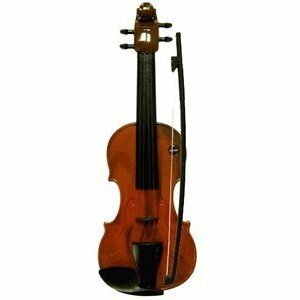 All of the instruments are so easy to play and they're really well made. 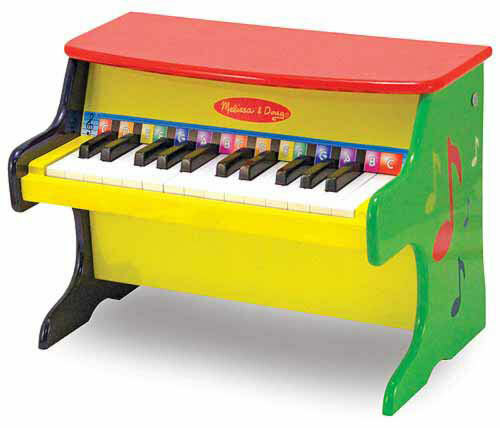 I think I'm better off getting "real" instruments that produce quality musical sounds to inspire my daughter. The maracas make no sound, as if they're filled too full, the tamborine skin broke after only one week and even the wooden rhythm instrument and cymbals produce such a weak sound, they hardly sound like percussion instruments. Some instruments designed for children have an "off" sound quality. The instrument sounds are tolerable. 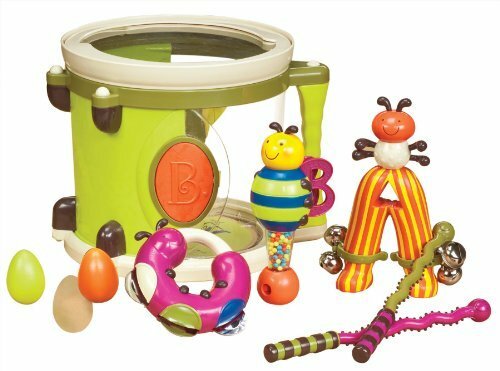 Kids love to make noise and play with sounds, and these little instruments are just the right size. They're real instruments, not plastic imitations that don't sound quite right. The triangle works well, except that the sound isn't very pleasant; it sounds like a metal spoon hitting a metal bowl instead a pleasing ding. The banging makes a loud crashing sound, as well as a shaky bean sound. He's hypersensitive to loud sounds, yet he bangs that instrument for minutes at a time.